Pre-orders will begin on January 26 for users in the US, the UK and Australia. The new release date falls in line with other clues we've been seeing that point to an imminent release, such as approval from the US Federal Communications Commission. But here's the catch. As Engadget discovered, the device will ship without multi-room audio or stereo pairing. Both features come standard with many existing smart speaker setups, and stereo pairing would have been the optimal way to get the most out of the HomePod's technology, which adjusts to the spaces around it. In Apple's case, multi-room audio uses Apple's AirPlay 2 protocol, which provides an easy way to make the same music play in various room of a house or office. Most importantly for launch sales, it would have given HomePod enthusiasts plenty of incentive to buy multiple devices. 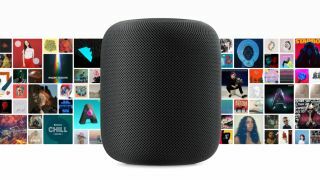 In fact, the features were originally listed along with the bulk of the HomePod's other offerings on the device's main page, but are now grouped in a separate box listing features "coming later this year." The change appears to be very recent, as the separate box didn't exist in a snapshot of the site taken on January 18, but Apple spoke of the features as coming in a "free software update" later in 2018 in today's press release. Apple announced the HomePod at WWDC last year, and originally it was slated for a December 2017 release. Last November, though, Apple pushed pushed the release date up to a more much vague "Early 2018" release date, claiming it needed "a little more time before it’s ready for our customers." Unfortunately, Apple is entering late in the game, and it'll find itself facing heavy competition from the likes of Amazon's Echo Plus, the Google Home Max and the Sonos One. Here's our rundown of what the best high-end smart speakers have to offer.